And now for the fourth installation to my interview series. As you may or may not know, I’ve started series of interviews to help demystify some of the many aspects of the whisk(e)y industry. Who makes it, how they do it, how they got into it, how to they sell, promote it, market it, etc… While this series is called “A Day in the Life”, it will focus on more than a day in the life of a Cooper, Sales Person, Ambassador, Master Blender, Independent reviewer/critic, etc… Also, I will try to get a little personal (without making said person blush). I am pleased as punch to have had the opportunity to interview Alan Shayne, President of the American arm of The Scotch Malt Whisky Society (SMWS). 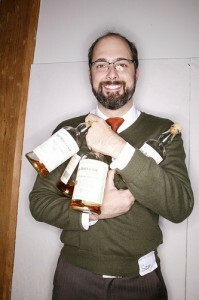 Joshua: Alan, please explain who you are and what you do for The Scotch Malt Whisky Society of America – on a day-to-day basis (or week to week, month to month if that makes it easier). Alan: I am the President of the Scotch malt Whisky Society of America. I direct the U.S. branch of the Society. Among my duties are overseeing the communications that go out to the members, choosing the whiskies we offer to our members, coordinating members orders through our import company and network of distributors and retailers, overseeing our tasting events, compliance with federal and state regulators and overseeing all financial matters. Joshua: How was it that you came to open the US branch of the SMWS? How long ago did the US branch open and what had you done prior to this? Alan: My involvement with the Society begin in 1993 when I was introduced to Pip Hills, the founder of the Society. Pip was interested in finding a partner for the North American market who could work hand in hand to make the Society a success here. At the time I was a partner in an alcoholic beverage import company, based in New York. I was very intrigued with what Pip had to say and a few months later in August of 1993 we officially began business. My history in the industry began in 1972 when I opened NY’s first wine themed night club. 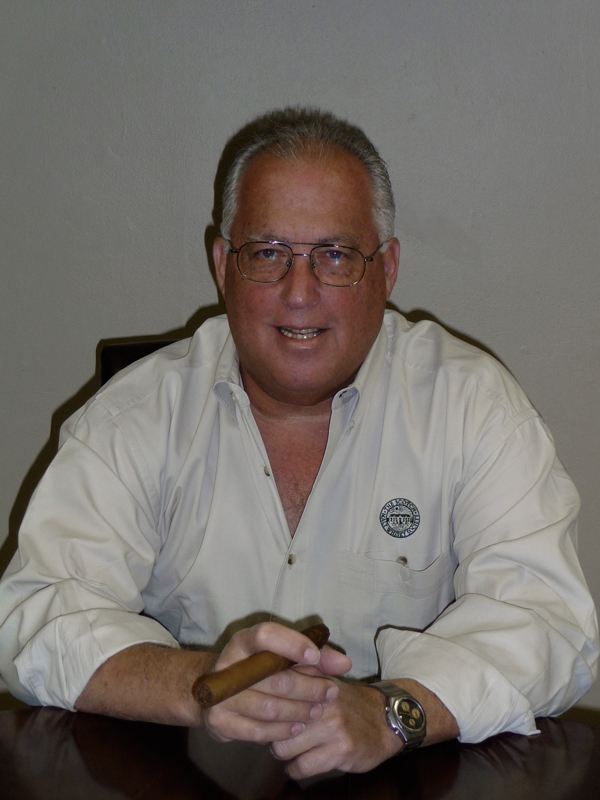 I took a 4 year hiatus from the liquor industry after selling the club in 1973, spending 4 years in law enforcement in NYC. In 1977 I purchased my father’s interest in a display and merchandising company servicing the liquor industry and sold it in 1983. I was then appointed US Marketing Director for Bell’s Scotch Whisky. In 1986, I co-founded Codorniu USA a wholly owned subsidiary of Cordoniu SA the world’s largest produced of Methode Champenois sparkling wine. In 1986, I co-founded Blair Importers, Inc. and sold my interest in that company in 1993 when I launched the Society in the US. Joshua: When we spoke on the phone, you had touched on your boating & distillery tour of Scotland back when you were about to open the US branch of the SMWS. Can you share that again? 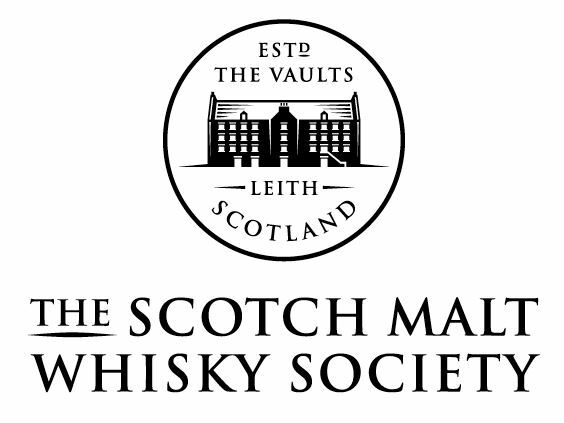 Alan: After my meeting with Pip in NY, I decided to take a trip over to Scotland to visit the Vaults, the Society’s headquarters, a number of distilleries and experience a members tasting in London. Flying to London first, I went to my first members tasting at the Plaza Athenaeum Hotel. I essentially sat back and observed. It was phenomenal seeing a group of about 100 like minded individuals, from every walk of life, happily interacting over some very fine malts. I experienced the camaraderie and knew instinctively that this would be well received in America. 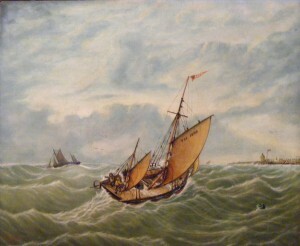 We then flew to Glasgow where Pip had arranged the charter of a old trawler out of Troon harbor. We sailed to Campbeltown and visited the Springbank distillery, sampling way too many expressions and enjoying a fine dinner with the proprietor. Upon leaving the restaurant we experienced a storm heading to the dock. I figured we would sleep on the boat and set sail in the morning, but to my surprise I was told that we would be leaving now. Having been a boater for most of my life and taking a rather conservative approach to traveling in storms in the dead of night, I was convinced that this might very well be my last voyage. I went down to my snuggly cabin, opened a bottle of Society whisky and consumed a good amount before falling asleep. Awakening at sunrise I went on deck to find the Pip and the crew thoroughly drenched and shivering. I put up a pot of coffee and took the helm, guiding the boat into Port Ellen on Islay and most pleased to be alive. We later visited the Bowmore Distillery. After sailing back to Troon, we took a train to Edinburgh and went to The Vaults. That too was a most enlightening experience, staying over in the members flats and enjoying the members room with blazing fireplaces in a Victorian setting and sampling the largest array of single cask malts I’ve seen to date. Joshua: Also, during that phone conversation, you touched on the fact that there’s an ever changing group of tasters who gather together to choose the SMWS bottles to be made available for it’s society members. Can you name some of the people on this board and how they came to be a part of it? Alan: The process by which the tasting panel chooses the Society’s whiskies is most interesting. The ever changing panel members, made up of industry professionals meets every week. They are presented cask samples for tasting analysis without the benefit of knowledge of the distillery of origin or age of the whiskies. If all members of the panel agree on the uniqueness and fine quality of a cask, we purchase it. If any member doesn’t like it, we pass on that cask. I estimate we turn away about 75% of the casks we are offered. Panel members in the past have included noted writer Charles McLean, Heather Greene, Sam Simmons, David Blackmore among others. Heather, Sam and David began their careers in the Scotch whisky industry at the Society. Whiskies that are not chosen are usually sold off to blenders. Although the scrutiny of the panel for Society bottlings, most are perfectly fine to be used in blends. To the best of my understanding about 90% of malts produced are used for blended whisky. 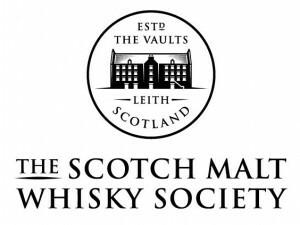 Joshua: After the whiskies are chosen for the SMWS, how are they chosen for the SMWSA and what happens to those whiskies not chosen for the SMWSA? Alan: Once a cask has passed muster, a list of those are forwarded to the different branches of the Society. Upon review I select the ones I believe to be most interesting for our US members. I then requisition samples for my own analysis and place my orders for the US members. Joshua: For those not familiar, can you explain the reason why the SMWS (and all of it’s international branches) will not use distillery names and only a number coding system? Alan: Since the Society’s inception, rather than printing the distillery of origin on our label, we use a coding system to identify the whiskies we bottle. We recognize that single casks are unique in flavor and bouquet and do not necessarily exhibit the same characteristics of that of a proprietary labeled brand. Single malt Scotch whisky is produced by taking a number of matured casks form a particular distillery and judiciously marrying them together to get a uniform taste. They are then diluted to the brands’ standard, and chill filtered to remove any discoloration that resulted from the dilution process. We don’t believe it is to the best interest of the distiller for our members to identify a particular distillery by name as it implies a similarity. Our whiskies most often do not taste the same as that of a distillery labeled bottle. We choose whiskies that are not only very good, but very diverse to that which one would find bottled under a proprietary label. Diversity of flavors and scents are what Society whiskies are all about. Joshua: I mentioned to you, Alan, that after I posted my review of one of your whiskies one of my readers said that they LOVED the review but the initially fee for membership (at $229) scared them away. What do you say when you hear things like this and are there any other obstacles you can think of to increasing your membership? Alan: There is a cost to becoming a Society member. We are a private membership club. Our whiskies are available to our members exclusively and are not commercially available to the general public. The $229.00 initial membership fee, we believe to be very reasonable. It includes an initiation fee, first year dues ($60.00) the new members kit featuring 4-100 ml bottles of Society whisky, a leather bound members handbook, tasting notebook and membership pin. Members receive the Society’s quarterly magazine ‘Unfiltered’ and every three weeks ‘Outturn’ the Society’s bottling lists. Members are invited to use members rooms in London and Edinburgh, Scotland and are invited to participate in members tastings throughout the world. The cost of procuring Society bottling is very reasonable especially older expressions. Joshua: Every year there is a SMWSA extravaganza tour for tasting your whiskies. Can you explain what this is and what people might expect from these events? Alan: Along with traditional members tastings, the Society hosts The Single Malt and Scotch Whisky Extravaganza Tour in 13 major cities through out the country. These tasting feature a sampling of over 100 Single malt and Scotch whiskies including five Society whiskies. They are held in prestigious hotels and private clubs and feature a panel discussion made up of master distillers and brand ambassadors. A sumptuous dinner buffet is included as well as a selection of premium imported cigars from the humidors of Montecristo and Romeo y Julieta. (cigar smoking is not permitted during the event). It’s a gala evening, with lots of camaraderie and good cheer. Joshua: Alan, what is your relationship, or, the SMWSA’s relationship, to the Old Malt Cask, Classic Cask, Douglas Laing, etc… independent bottlers? Alan: My interest in whiskies is far reaching. Our import company, Spirit Imports, Inc, is the Importer of the Scotch malt Whisky Society whiskies (available to members exclusively) and other fabulous whiskies available to the general public. 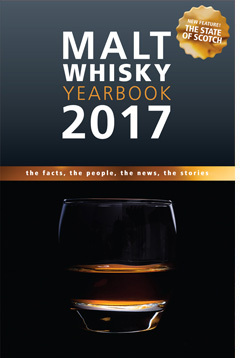 Among those are malts from Douglas Laing and Co. Ltd., The Old Malt Cask, The Premier Barrel, Big Peat, The Double Barrel, and McGibbons Provenance. As well, we are the owners of The Classic Cask Selection and Loch Chaim, kosher single malts. Highland Stag Blended Scotch Whisky and Paolucci Italian Cordials are other products which we import and are available to the general public. Joshua: As you’ve mentioned, you have, or distribute, a line of whiskies called Loch Chaim which are a line of whiskies from different distilleries that do not have any wine or sherry influence (and are kosher by nature). Who came up with this idea (I think it’s quite brilliant) and is it an expanding line? Alan: Loch Chaim is one of our most interesting products. Loch Chaim came about on trip to The Glenlivet distillery a few years ago. My wife, Maddie, Beth Rush our director of members services and her husband Joel joined in The Glenlivet Gathering with about 150 other Americans. It was a fantastic experience. After a wonderful dinner and partying the evening away with the group at the distillery, we returned to our hotels via chartered bus. All were singing Scottish tunes, and at the end of the Bonnie bonnie shores of Loch Lomond, Joel and I simultaneously substituted Loch Chiam for Loch Lomond. A neon light went off in my head reading” Kosher Malt Whisky”. When we returned to Florida, I contacted one of my malt whisky suppliers who happened to be observant Jews and request cask samples of bourbon aged whisky. I designed the label and contacted Rabbi Mendel Jacobs, Scotland’s only Scottish born rabbi and as well a malt enthusiast for his guidance. We bottled up 5 casks which I sampled at The Single Malt and Scotch Whisky Extravaganza in Washington DC. It was the hit of the evening and many of the local retailers in attendance immediately put in orders. We have released 7 casks thus far and and are in the process of selecting 4 more casks for the near future. Loch Chaim has no wine or sherry cask influence. All are bourbon aged. Joshua: What can we, as consumers, expect in the future for the SMWSA? Alan: At the Society we are diligently working on plans for the future that includes members venues here in the US. I believe this will be huge turning point for us. We’ve recently relaunched our website and there will be new “mind blowing” additions in the months ahead. We are as well planning a series of sporting events for our members that will culminate with Society tasting and dinner in the Society’s unique style. 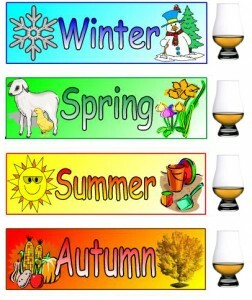 Joshua: One thing I try to focus on with my blog is what dram to drink for a particular mood or season. Does the SMWS approach the release of new whisky expressions in a similar manner? Do you approach personal consumption in this manner? Alan: I couldn’t agree with you more. Different moods, climates, seasons, events and cuisine require different whiskies. Life would become boring if all we drank was our “desert island” whiskies. The Society’s unique and descriptive tasting notes are a testament to this. I approach my discerning consumption in a similar manner. As well, I’ve come up with some far out approaches. One of my favorite summer malt concoctions includes a well chilled chunk of watermelon. Living in Florida presents challenges to malt consumption as well due to the incessant heat. I usually begin my evening with a blended Scotch on the the rocks. However, I do it a bit differently, by adding a “topping” of malt to it. Depending on my mood, it could be an Islay or other times a Highland or Speyside. When doing this with malt enthusiasts in attendance, the first comments are not very flattering, but when they sample it, “Brilliant” is usually the word spoken. Joshua: Do you have any personal dearly departed SMWSA expressions? SMWSA bottles that really stuck for you but, sadly, are now gone forever? Alan: The nature of single cask malts is that when there gone, there gone. I do recall too many that I would love to have more of. Cask 78.7 was one of them. Described as “As black as the Earl of Hell’s waistcoat” was the best sherry aged whisky I ever enjoyed. Another Islay cask described as “Gun Powder and Flesh Wounds” was quite memorable as well. Alan: I got into whiskies when I was quite young. An uncle of mine was the owner of The Edradour Distillery, my grandfather, an Englishman, was introduced to single malts, by his son in law and developed a fondness for them in the 1940’s. He returned to the United States in the late 1960’s when I was 16 years old. I hadn’t seen him for about 10 years. When he greeted me at his door, his first question was what do you drink? I responded 7&7. He winched and said come with me to the den, when he pulled of the shelf a bottle of The Glenlivet. He instructed me to take it with a bit of water, but I chose to have it over ice. We each enjoyed a couple of them over conversation. It became my gateway malt. Ironically, it was my first Scotch and my drink of choice for a decade until someone from Seagram’s (the brand owner at the time implored me to have it without the ice. It became much more flavorful). I then became intrigued with the category of malts and began my journey to try as many as I could. I’ve gone the gamut and enjoy them all, some more than others. On that trip to The Glenlivet Distillery I was reacquainted with their malts and totally understood why I initially liked them and why I like them so much today. Alan: The other passions in my life are shooting, the mountains and exploring. I shoot trap once or twice a week and shoot pistols a bit less frequently. 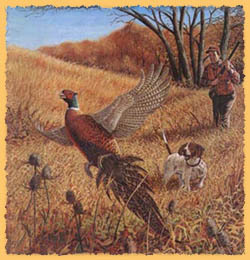 On occasion, every year or so, if I get lucky I get out in the field for pheasant. I spend as much time as I can in the mountains on North Carolina and Tennessee with my family (wife and two daughters). They are also involved in the business. I travel about 20 weeks of the year doing our tasting events and I try to schedule an extra day for myself to get lost and explore new territories, find brew pubs, micro-distilleries and old pick-up trucks. Joshua: Do you have a list of Top Drams or perhaps some Desert Island Drams you’d like to share (including, perhaps, some non-SMWS expressions)? 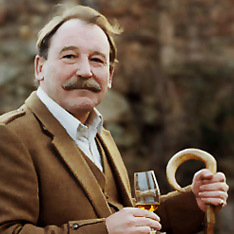 Alan: My non-Society desert island drams come from Islay. Depending on the day and mood, its either Ardbeg, Laphroaig, Lagavulin, Caol Ila, Bowmore and Bunnihabian depending upon the degree of medicinal taste I need to justify the dram. Alan: Way too many funny interesting and bizarre stories, many of which would add to my wife’s passion for me to quit enjoying malts with friends. I was once asked why I got into the liquor business. My answer was I like to work, I’m a workaholic and I like to drink and socialize. I couldn’t have found a better profession or industry to be in. Alan: My message to people getting into whisky is “Its a wonderful thing,,,,It’s a learning experience….Indulge, but in moderation with like minded individuals. Learn as much as you can but don’t get overly consumed with text book knowledge. Learn the fundamentals of whiskies and the methods and nuances of production, but go with your tastes and what you like. Make it a long and languishing, safe and fulfilling journey. And always salute with the classic Gaelic toast “LOCH CHAIM”. Alan, thanks again for the interview!